Filed to: Brrrrrrrrr!Filed to: Brrrrrrrrr! Chicago is expecting record cold tomorrow. We’re going to have two days hovering between -13 and -25, with a wind chill as low as -55. Now, I know some of you rural Canadians just call that Wednesday. While I like to think us Chicagoans are a hardy bunch, we’re not really equipped for these conditions. A lot of people I know are already having trouble keeping their house up to temperature. My house, while being nearly 100 years old, is better equipped than most. Our first floor has zero insulation, but I had our second floor and attic spray foamed when I gutted and remodeled up there six years ago. I also have modern high efficiency windows and back door. Not crazy high efficiency windows, like the kind that melt Huzer’s SUVs, but decent ones. Now that beautiful extra wide front door ... That’s another story. That baby leaks air like a sieve. It’s typically not really a problem, because it opens into an enclosed porch, but on a day like tomorrow it will be a problem. So, I went high tech. 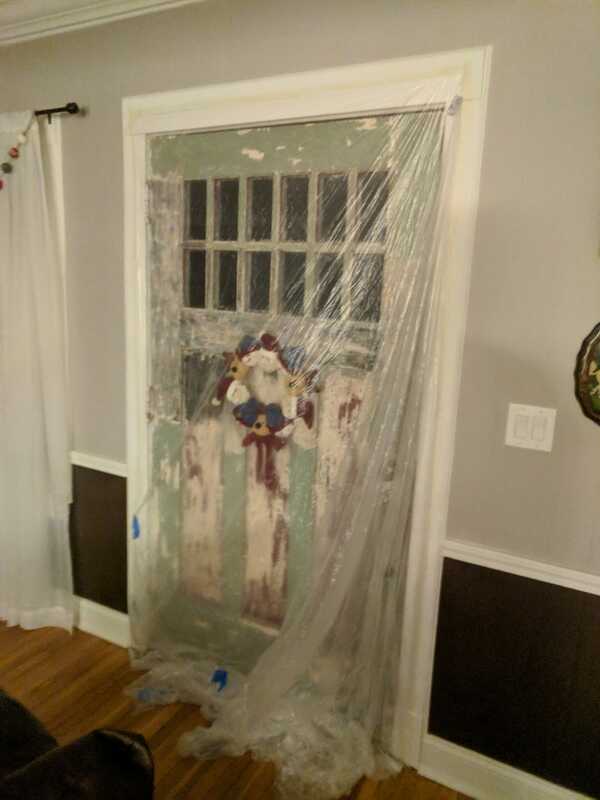 Masking tape and a used visqueen drop cloth to the rescue. We don’t plan on opening either door at all tomorrow. We even had our mail held. The bills and junk mail can wait until Saturday. Of course I replaced the furnace filter too.